A drug dealer who was caught twice by police in Thanet has been jailed for more than two years. When officers on patrol in Margate stopped to speak to homeless Bradley Halton, on Wednesday 16 November 2016, his behaviour made them suspicious. They asked to search the 21-year-old and it became clear he had hidden a number of small wraps of suspected drugs in his mouth. He was arrested and found to have more wraps concealed upon his person as well about £400 in cash. He was released on police bail while drug tests were carried out to determine what substance was in the 77 recovered wraps, and Halton was told he was not to enter Kent during that time. However Halton was seen by officers on Friday 6 January 2017 in the Northdown Road area of Margate. He tried to hide his face from them before running away. Officers from Thanet’s Community Policing Team and Margate Task Force chased him and caught up with him where he tried unsuccessfully to offer a false name. For the second time his suspicious behaviour saw him arrested and searched. More drugs were found concealed about his person and £600 in cash. Tests have confirmed the wraps recovered from Halton were heroin and crack cocaine and worth a total estimated street value of £770. Halton pleaded guilty to two counts of possession of cocaine with intent to supply, and two counts of possession of heroin with intent to supply. 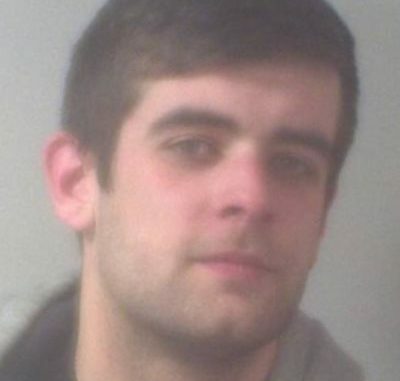 He was sentenced at Canterbury Crown Court on Monday 6 February to two-and-a-half years in prison. Investigating officer Detective Constable Peter Frampton said: “When Halton was caught the first time, he was given very clear instructions to stay out of the county while he was on police bail. “But he blatantly ignored those and returned to Margate to try his luck at selling Class A drugs. Unfortunately for him, local officers regularly check for signs of drug dealing in the streets in Thanet so his odd behaviour stood out very clearly that he was up to no good.